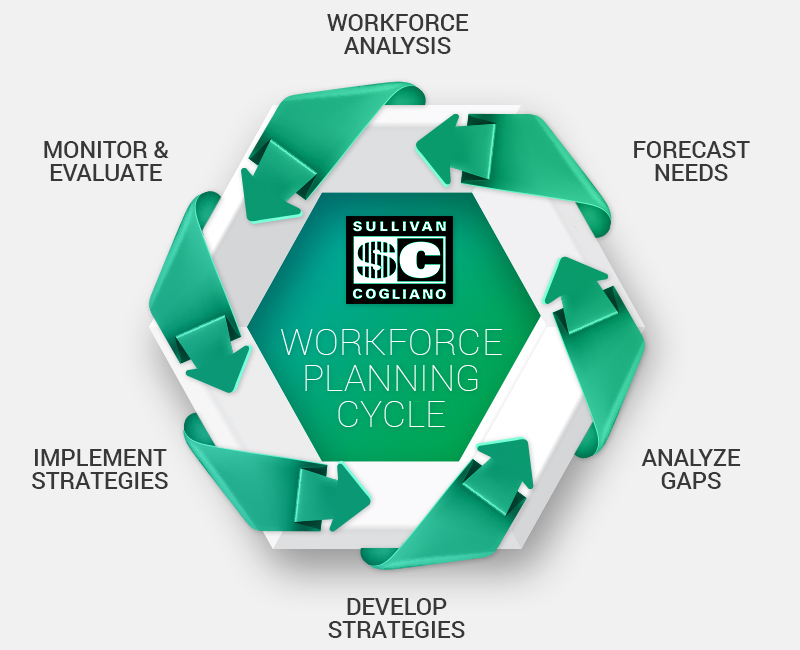 Sullivan and Cogliano will use its systematic process to help forecast client’s future workforce needs and determine the most effective practices and policies to close gaps to meet those future needs. Sullivan and Cogliano’s technology workforce solutions offer flexible staffing options. Many companies are leveraging these services to gain access to top talent and adjust their workforce based on the cyclical needs of their business. We offer contract, contract-to-hire, and direct placement options to quickly increase and decrease your workforce. Our contract staffing services enable you to fill short-term needs for qualified employees. Companies rely on contract staffing services to support upcoming projects, meet seasonal requirements and reduce their workforce during slow periods. Hiring individuals on a contract basis allows your company to maintain proper staff levels and retain the talent available today while reducing employee-related costs. By utilizing Sullivan and Cogliano’s contract-to-hire staffing services, a company can benefit from the traditional services a staffing agency offers the option to hire the employee permanently. You can observe the employee on the job to determine if he or she is the right fit for the position. After the contract period is complete, the employee can be hired on a permanent basis. Through our direct placement services, Sullivan and Cogliano assumes all responsibility for recruiting and screening candidates so you can focus on your business. By working with a staffing agency such as Sullivan and Cogliano, you rely on professional tech recruiters with access to a range of recruiting resources to select the perfect employee. Companies rely on direct placement options to increase staff for project-based work and to grow and replenish their workforce.